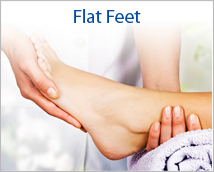 At our clinic we recognize the importance of feet in everyday living, activities, and maintaining general health. We are a specialized clinic where health professionals, known as Chiropodists, diagnose and treat specific foot conditions. WE PROVIDE PROFESSIONAL FOOT CARE COURSES FOR REGISTERED NURSES, REGISTERED PRACTICAL NURSES AND PERSONAL SUPPORT WORKERS. 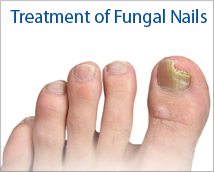 We also advise you on how to prevent future foot problems through foot care training. Foot care is provided at several locations throughout the city and area. We offer both outreach and office foot care. At the OCPC the focus is on foot care for general population. The Clinic cares for children, the elderly, and those who have a specific medical problem, such as poor circulation, diabetes or arthritis, where regular professional foot care is critical. Are you looking for high quality foot care courses? Do you have a passion for foot care? Are you looking to further develop your skills? Are you looking for a professional change? If so, our comprehensive nursing foot care courses may be for you! Our fully qualified instructors will give you the knowledge and hands on experience you'll need to be successful. As the waves of "Baby Boomers" age the number of people who will require help with their foot care is expected to grow by leaps and bounds. The number of people with diabetes is already huge, and still growing. We know that a certain percentage of those people will develop foot problems. 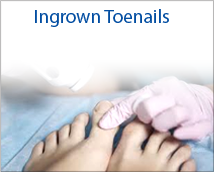 Foot care, and particularly diabetic foot care, is a rapidly growing need. The RNAO Best Practice Guidelines (2013) targets reducing diabetic foot complications. Our foot care courses will help prepare you to work in this field. Our basic and advanced nursing foot care seminars include class theory, in class lab, and clinical practice, so that each student will receive hands-on practical experience working with high risk clients. Our foot care professionals at OCPC work together to share the vision of uncompromising excellent care to our patients. We spend extra time in listening to our patients so that we can provide individual treatment to relieve foot pain and improve foot health. By continually advancing our skills, we are able to address your concerns and provide you with effective treatments. You will be fully informed and involved in the management of your foot health. As part of our commitment to excellent foot care services we providing top of the line foot care courses. Treatments and Foot Care Services Offered. Chiropody is a primary health care discipline which specializes in the assessment, treatment, and prevention of diseases, disorders and dysfunctions of the foot. Chiropodists are the only health care providers in Ontario educated specifically in the assessment and treatment of foot disorders. Our diagnostic services allow our foot care providers to diagnose injuries quickly, plan and initiate treatments all at one clinic. Home Visits can be arranged for Patients Unable to Attend Clinic. Our foot care specialists will be happy to help. All foot care specialists (chiropodists and podiatrists) in Ontario are licensed to practice by the College of Chiropodists of Ontario. Podiatrists in Ontario recieved foot care training in the USA, and began their practice in Ontario prior to 1992. Chiropodists are graduates of a post-graduate extended 3 year program. They are trained to assess, treat and prevent foot disorders by conservative methods including prescribing and fitting orthotic devices, prescribing and administering drugs as well as by more invasive methods such as soft tissue and nail surgery under local anaesthesia. 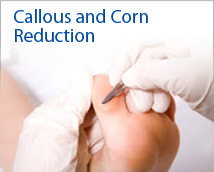 They are increasingly working in the prevention and care of diabetic foot problems. Is the treatment covered by O.H.I.P. Chiropodists who practice privately charge a fee. Their services are not covered by Ministry of Health funding or O.H.I.P., but may be covered by a private health insurance plan. Patients should consult their chiropodist concerning the fees, as well as their insurance company and ask what services are included under the plan.